Get creative with these inspirational and thoughtful sayings! The Forever Inspired Coloring Books are designed specifically for younger colorists. This exciting new series includes tons of whimsical illustrations that are designed to spark creativity in growing young minds and to provide hours of fun at the same time! Additionally, the books’ outlines aren’t overly complicated, so coloring can be a blast for the whole family—they’re perfect to share with a younger sibling, a friend, or even a parent! 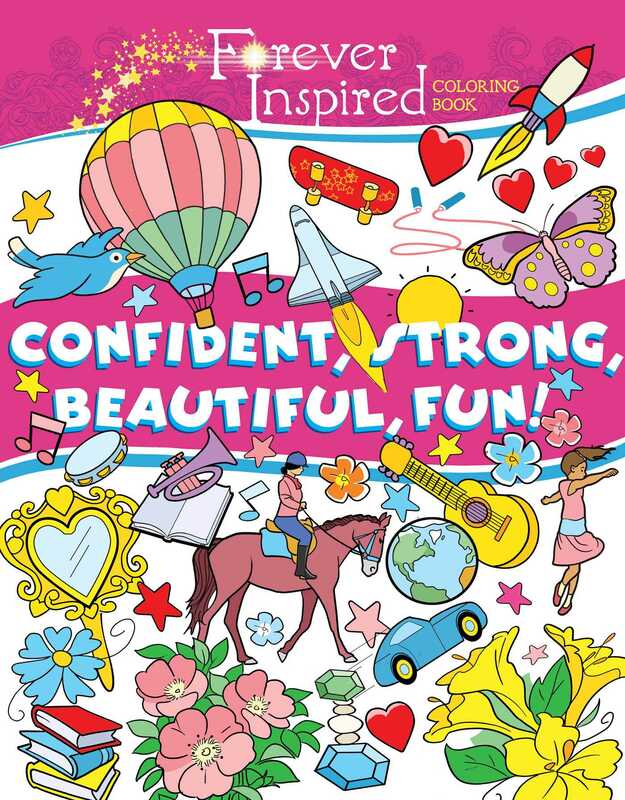 This wonderful coloring book is all about building confidence, imagination, and spirit! More than 45 coloring pages will encourage girls to be inventive, brave, adventurous, artistic, and more. Each page has creative doodles that relate to the message in the center of the illustration. Make your masterpiece and be yourself with this expressive coloring book. Each page is perforated so that tween artists can easily remove their masterpieces and decorate any place they want to—whether it’s their bedroom ceilings or their lockers at school! It’s never been simpler to share and display their creations with their pals.